In this episode of Zero To Scale Greg and Justin go in depth on the thought process, and launch process for their new membership community. This was not a step that was taken lightly and a lot of thought and consideration went into not only how to do it, but why we’re doing it in the first place. Greg begins by thanking the existing community and explains there was the podcast first and the choice to begin a paid service was a joint decision. Justin adds that in the beginning they discussed all the expectations of the podcast and they set up a plan to move into a paid service option. There are a lot of ways to make money from a podcast service: Sponsorships, advertising, and affiliations. They decided to use an existing Facebook community as a starting point. The group is now over a thousand members. Justin thinks people tend to overthink their plans. Zero to Scales Paid Membership Community was a wait and see approach. “Put your head down, launch, and figure it out as you go.” Once the Facebook community grew to a thousand, they started talking about the next level. Greg moved to Slack to grow the community. He also tried Skype. Eventually he went back to Slack and networked with those members. Greg believes that they wanted to “go deeper” than the other podcasts they heard others doing. They got inspiration from the “Mastermind” style. They always knew the paid community would be smaller, than the whole audience. Their audience was a good indicator of how they could make a paid community. A survey was sent out the audience as well to get a feel for the community needs. Justin says it was really helpful to learn more about their listeners. They took the information and used it to shape the content. They launched with a Slack chat on an invitation only policy. Charter members would get in at a discount in exchange for help with the Slack group. They had an open sign up for 2 weeks for Charter members. A community can start with bare essentials. Serious conversations had to be had to iron out any future commitment issues, or business decisions. They created a separate business for the paid community aspect and split it 50/50. 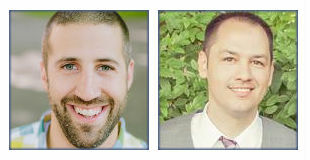 Both Justin and Greg have be a part of the community for it to work and continue to grow. All decisions on cost and time had to be a mutual decision. Greg remembers that the whole process went rather quickly after things were decided. They set a goal and when they met the goal they worked to the next step. That was the forum. Then they added a Q & A call, and the next step is in the wings. Justin agrees that you have to work with someone like minded or else you get tangled up in the planning stages. Membership to the service will open back up for a short while and then close. Once a quarter the enrollment will come open and the process will continue. 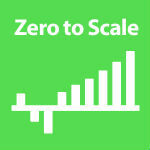 If you are interested in the Zero to Scale Insiders community, visit zerotoscale.com/join to join the waitlist. Doors will open again Monday, August 24th. Join our closed Facebook group for continuous discussion and let us know your thoughts on today’s podcast and feel free to discuss ways to be transparent in your business. Want to leave a voice recording that we use on the show? Call in to our voicemail boxhere with your question!